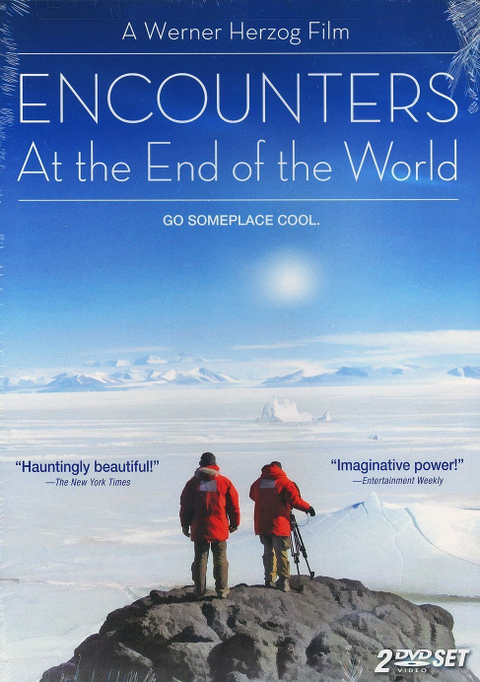 We recently enjoyed this documentary film that focuses on people that live and work in Antarctica. The film touches on some odd bits of science, and shows beautiful scenes of the continent’s seas and landscapes, but it’s the people that take center stage. Herzog: And how does it happen that we are encountering each other here at the end of the world? Stefan Pashov (Philosopher, Forklift Driver): I think that it’s a logical place to find each other because this place works almost as a natural selection for people that have this intention to jump off the margin of the map, and we all meet here where all the lines of the map converge. There is no point that is south of the South Pole. Pashov: And I think there is a fair amount of the population here which are full-time travelers and part-time workers. So yes, those are the professional dreamers. They dream all the time, and, I think, through them the great cosmic dreams come into fruition, because the universe dreams through our dreams,and I think that there is many different ways for the reality to bring itself forward, and dreaming is definitely one of those ways.